For some businesses (especially retail) December is manic! For some its a time to wind down this year, have a break and contemplate where 2014 is going. 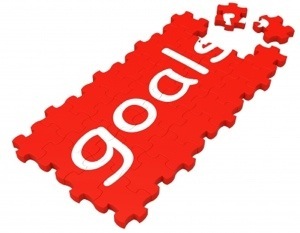 6 businesses share with us one of their goals for 2014 – if you want to share your goal please do leave a comment below. Sam is right now she has posted it she has made herself accountable to everyone who is reading! No turning back now! Failure is not an option! To have a paid tutorial in a magazine – I’ve been developing my tutorial writing skills over on my blog with some fun freebies (www.gracesfavours.blogspot.co.uk) but next year I want to get some published and start selling more complicated designs. Eek! Having a blog platform to show your talents whether that be tutorial writing or freelance writing in general is such an excellent resource to show potential customers/retailers/magazines. If you are thinking about starting a blog in 2014 do check out my handy booklet. Are you a retail outlet looking to stock handmade lampshades? Then do get in touch! Networking online is a really great way to meet people who can either help you buy stocking your products or writing features or know of someone who can! Never under estimate the power of social media networking. I love this idea! good Luck Katherine. What is your main goal in 2014?